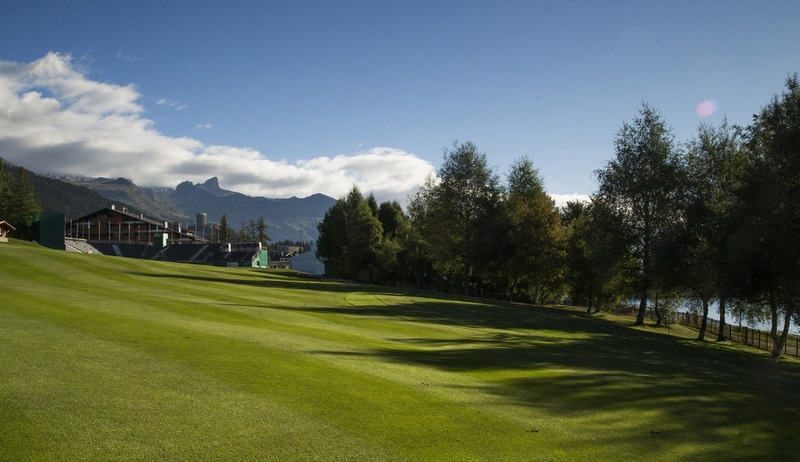 The number one rated course in Switzerland is Golf Domaine Impérial. For those lovers of golf architecture it is notable as being one of the very few Pete Dye courses this side of the pond. It's about 30 minutes north of Geneva on the shores of the lake. What a perfect setting. You could look over to Mont Blanc, play along the gently lapping water and see the majesty of Geneva in the distance. That would have been wonderful, but instead they decided to build inland so you never see a mountain, never see a lake and Geneva may as well not exist. As you sit on the terrace for a drink after the round you do get the great views, and see a lovely big lawn in front of you which is just crying out for a fairway and a green. I'm sure that there were planning restrictions which meant that things turned out this way but it's a real shame that Dye couldn't work out how to get some sense of the setting into what is a fine, perfectly nice, 18 holes of golf. I'd really looked forward to playing Domaine Impérial, and if truth be told it slightly underwhelmed. The course was a good, solid parkland course which was more than playable from the tee and got more interesting around the green. Early holes wind their way through the trees (and between the 2nd and the 3rd you see a lot of them on the hike) but at no point do you stand on a teebox and marvel at what is before you. Equally, never are you appalled at the blandness of the hole. You only really get to see the water at Domaine Imperial from the terrace and putting green! On the back nine the holes probably get a little more interesting. They have a few more options off the tee, water comes into play and there are more obvious risk and reward shots. The conditioning was great in October, when many other courses around us were suffering with poor drainage, and I can imagine in the height of summer it plays very well. While Domaine Impérial is a private club, it is perfectly possible to get a tee time. Visitors are welcome from Monday to Friday for 200CHFs. Make sure you bring along a handicap certificate (the maximum for play is an unusual 30!) as while I have played Muirfield, St Andrews, Pebble Beach and Valderrama without one, you are chancing your arm here! There are many great reasons to come to this part of the world, but it is unlikely that golf would be the primary focus. Having said that Geneva has some good courses and there are more relatively close by. 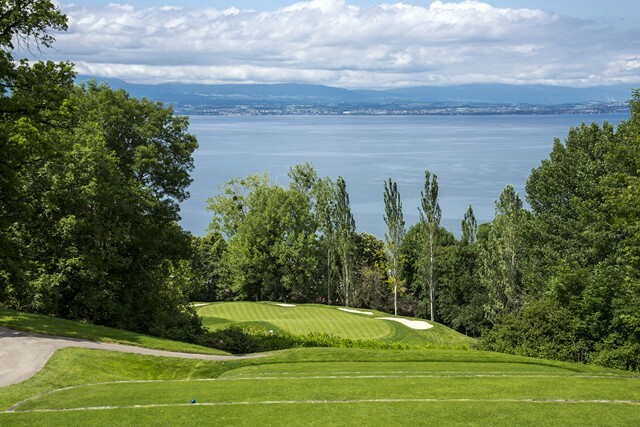 Golf Club de Geneva is supposed to be great (review to follow one day), Divonne is passable, Evian has a great reputation (slightly underserved), Maison Blanche is a solid place for a knock which delivers on the views. Further afield, Lyon and Crans are both better class than any of the aforementioned and worth the excursion.